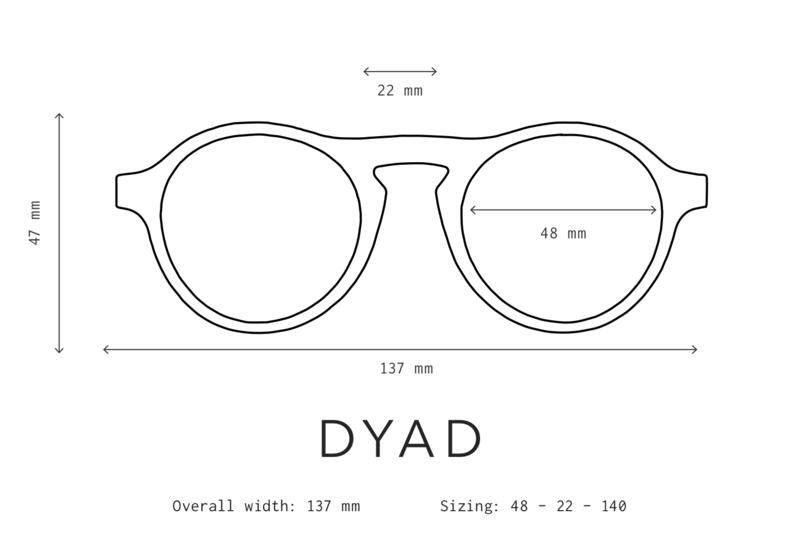 Sage advice: Dyad 12 features a unique clip with sage gradient tinted lenses in matte black wire. The frame is classic black acetate, hand-polished to a perfect finish. Polished black marble inlays complete the elevated look. The frame itself features clear lenses, and is RX friendly, should you wish to add your prescription. Additional clips are available in our accessories section.